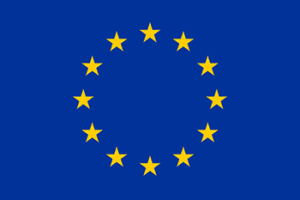 If you work in the public sector and are responsible for creating PDFs for online consumption, you need to be aware that the EU Accessibility Directive comes into force (and hence part of UK law) today, 23 September 2018. The new legislation requires that all downloadable documents and forms published on existing public sector websites after 23 September 2018 must be made accessible by 23 September 2020. In addition, any such documents published on new public sector websites (those published after 23 September 2018) must be made accessible by 23 September 2019 (Article 12, paragraph 3). The new regulations build on rather than replace the existing relevant legislation, namely the Equality Act (2010) or the Disability Discrimination Act (1995) (DDA) in Northern Ireland. There are a few exemptions, most notably PDFs published before 23 September 2018 which don’t need to be made accessible “unless such content is needed for active administrative processes relating to the tasks performed by the public sector body concerned” (Article 1, paragraph 4a). “online maps and mapping services, as long as essential information is provided in an accessible digital manner for maps intended for navigational use” (Article 1, paragraph 4d). “third-party content that is neither funded nor developed by, nor under the control of, the public sector body concerned” (Article 1, paragraph 4d). “content of extranets and intranets” (Article 1, paragraph 4g). There is still a great deal of work to do to ensure that all PDFs are accessible. The vast majority are still either completely or mostly inaccessible, and few organisations yet have the capability to remedy the situation. Outsourcing to an organisation with the expertise to do all of the work for you, and thereby take the problem off your hands altogether. Getting the right training to enable you to bring all of the required expertise in-house, and maintaining it there. Devising a hybrid of the above, customised to your precise needs and capabilities. For example, training your staff to a certain (non-expert) level and then outsourcing the finishing and testing to external experts. Each of the above options will have its advantages and disadvantages, depending on your circumstances. With over 15 years’ experience in the field of PDF accessibility we are uniquely placed to advise you on the best way forward, and to provide everything you need to meet the requirements of the new legislation. Please note that no part of this blog post constitutes legal advice and that specialist legal advice should be taken in relation to concerns about the relevant legislation.